Do you have a UK registered pension and are you a tax resident in India? If the pension remains in the UK, no UK tax should be due on UK pension payments (if paid in consideration of past employment) or UK annuity payments, under the DTA, with tax payable in India accordingly. Furthermore, the fund remains exposed to the UK death benefit charges. Transferring to a Gibraltar QROPS can alleviate UK tax on payments (at up to 45%) with 2.5% Gibraltar tax due on pension payments with tax payable in India for ROR (at up to 33.99%) with a foreign tax credit available to alleviate any double taxation. No Indian tax if RNOR or NR and not received/deemed to be received/accrue/deemed to accrue in India. Furthermore, the QROPS can protect from the UK death benefit charges if non-UK resident (5 years +) and there is no Gibraltar IHT. the QROPS can protect from the UK death benefit charges if non-UK resident (5 years +) and there is no Maltese IHT. There is a DTA between the UK and India. This provides exemption from UK tax for UK pensions or annuities paid to residents of India. “Pension” is defined as that paid in consideration of past employment or by way of compensation for injuries received in the course of employment, or Social Security Pensions. No UK income tax if non-UK resident (for 5 years + or total withdrawals are below £100,000). Malta has a DTA with India, effective from 1 January 2015 in Malta and 1 April 2015 in India. This provides that pensions and other similar remuneration paid to a resident of India in consideration of past employment shall be taxable only in India. This is a change to the previous DTA which allowed Malta the right to tax such income (at up to 35%). We understand that the Maltese Tax Authorities will not, generally, apply the Pensions Article to QROPS where the Pensions Article states “in consideration of past employment”. In such cases they can utilise the Other Income Article. This also states that the income would only be taxable in India. So the tax position remains the same, only taxable in India. Individuals ROR are taxed on their worldwide income, at progressive rates ranging to 33.99%. Individuals RNOR generally do not pay tax on income sourced or earned outside India unless it is derived from a business, profession controlled or set up in India, or the income is accrued or first received in India, or is deemed to have accrued or been received in India. A NR is subject to tax on Indian-source income only (similar to RNOR). This flowchart helps determine residency status. Foreign pension income is a type of taxable income. Therefore it is taxable on those ROR even if non-remitted to India. For those RNOR or NR it is only taxed in India to the extent it is received / deemed to be received/accrue/deemed to accrue in India. When taxable, generally all the pension income and/or lump-sum payments would be subject to tax. For example, any payment received from a non–employer (i.e. personal) pension scheme is fully taxed in the hands of an individual. However Indian tax law does provide an exemption (up to a prescribed limit) for lump-sums from certain occupational schemes but whether, and to what extent, this applies to foreign occupational lump-sums is not certain and depends on the circumstances. For occupational schemes, generally employer’s contributions would be taxable on the employee. However, if it can be established that employer’s contribution to the pension scheme of the overseas country does not confer any immediate benefit to the employee in the year of contribution, then a position may be taken that the said contributions are not taxable in the hands of the employee, as there is no income accrued to the employee in the year of contribution. Based on Indian judicial rulings, whether employees’ pension contributions to an overseas scheme would be deductible for Indian tax purposes would depend on certain factors - e.g. whether there is any compulsion on the expatriate (under the laws of the overseas country) to contribute to such plans failing which they would be liable to fines/penalties, if any. Generally there should be no Indian tax on the investment growth of the foreign pension scheme. This is on the basis that the individual will not have any discretion in selecting the investments to be made by such a scheme. There is a risk of an Indian Capital Gains Tax implication on ROR individuals on transfer of UK pension rights to a QROPS. It would not apply to RNOR or NR individuals. 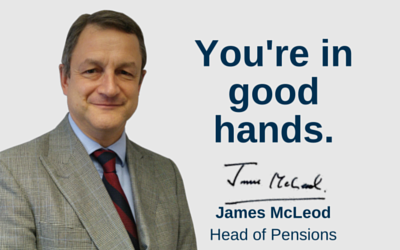 Relief is available for any foreign taxes paid on the pension income. 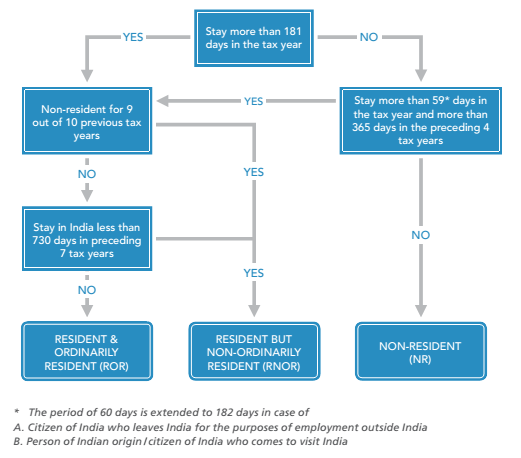 Presuming that the pension income is received by an individual who is a treaty resident of India, then any taxes paid on the pension income in the foreign jurisdiction with which India has a DTA may be eligible for foreign tax credit (subject to the conditions covered under the respective DTA). In relation to the pension income of an ROR, taxed in a jurisdiction with which India does not have a DTA (e.g. Gibraltar), unilateral relief is available under the Indian tax laws. India has signed DTAs with more than 80 countries. Inheritance or estate taxes are currently not imposed in India. Net wealth tax of 1% applies to certain assets above prescribed values. Investment in a pension scheme (including foreign pension schemes) being a financial asset is not covered under the present wealth tax regime.